As I travel quite a lot and speak to different people, I get the impression that APEX is more and more used in all parts of the world. 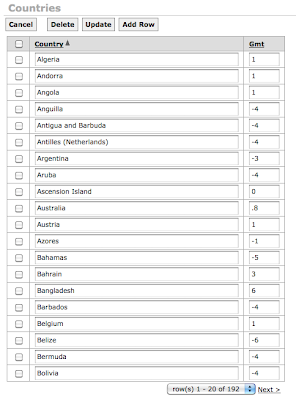 So I would find it very interesting which part of the world is using Oracle Application Express a lot and which parts of the world are just adopting it. It's very hard to get these numbers, maybe Oracle themselves have an idea if they look at the statistics of apex.oracle.com. 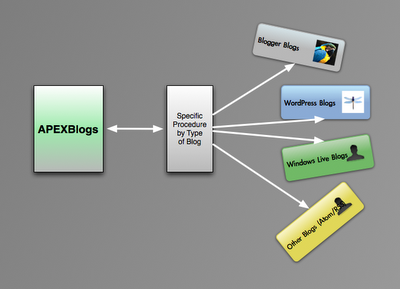 I could ask people to create a profile/login on the APEXBlogs v2 site, but why would they do that? 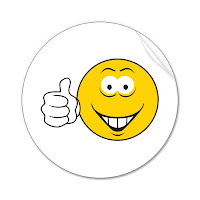 My absolute dream would be that I would get APEXBlogs v2 in such a state that it's worthwhile for everybody dealing with APEX wanting to go to that site. We'll see in the future how that turns out, but you could definitely help me with that. I see APEXBlogs v2 evolving to more a portal page for the APEX Community... v2 is not anymore about just aggregating the blogs, it's doing a lot more as you could read before and will read in the next couple of posts. 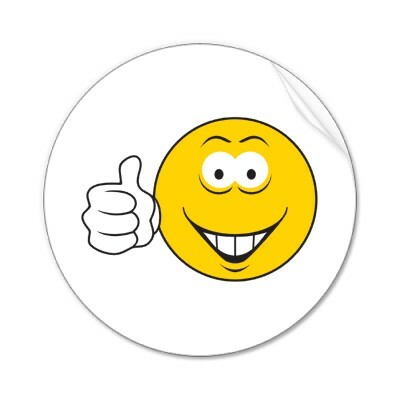 Once we are online with APEXBlogs v2, the way you could help is talking about the site and tell everybody it would be fantastic to get the APEX adoption in card. 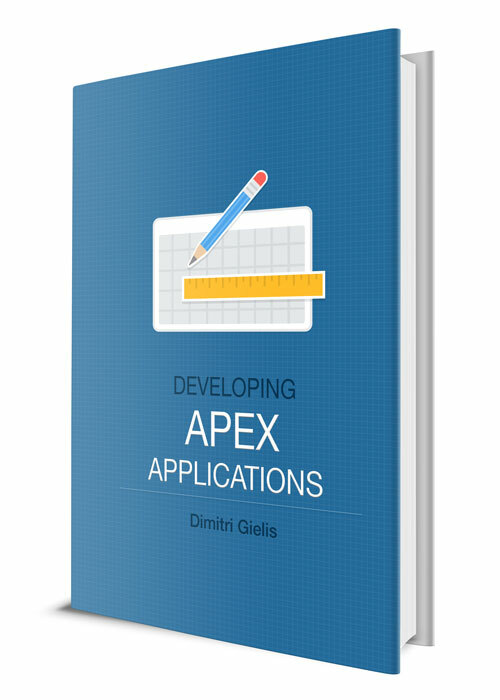 You are probably as much a fan of APEX as me, but you might find it difficult to convince others to go with APEX and do more APEX projects. By showing that APEX is used all over the place, it might help to convince your client(s) and/or boss. The other way you could help is to give me feedback about what would be useful for you and the people you know, so they have a reason to come to the site. 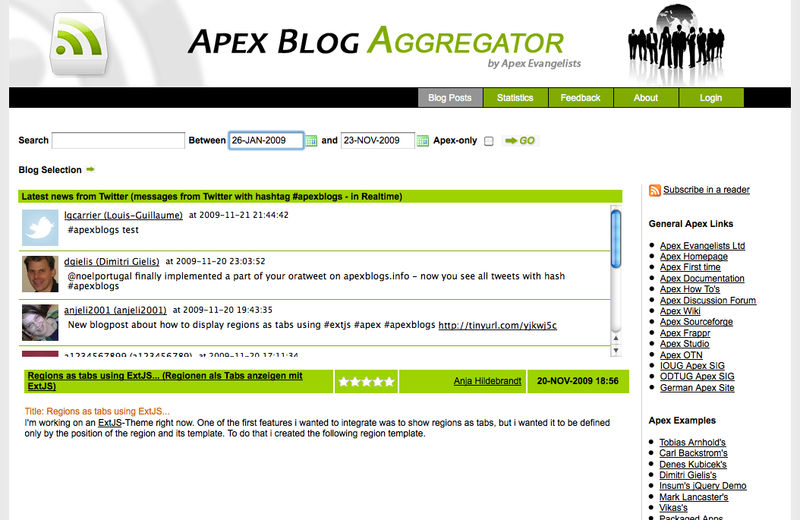 So back to the APEX Usage and how it will be shown in APEXBlogs v2. I wanted to use a combination of two methods. 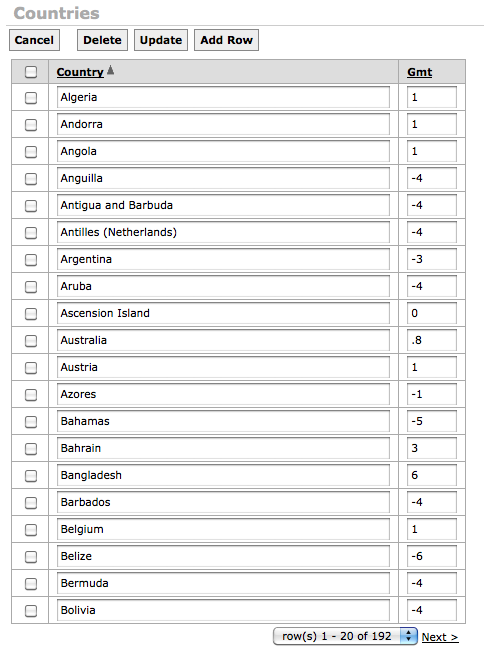 My first routine looks at the people who are registered and plots that on a World Map (implemented and works great). In APEX 4.0 there's a wizard to create these maps. The second routine will look at the IP addresses that hit the site and verify if the numbers are aligned from the first routine. But I've an issue here... if I'm with a client and hit the site I've a certain IP address, when I'm at home I've another IP address, but I'm the same person. Or behind one IP address (e.g. 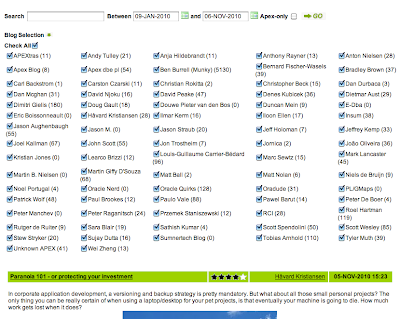 a government) there might be 100 people using APEX. I doubted to use a Google Map and show the points where people exactly are, but that would probably have the reverse affect and people don't want (or are not allowed) to share that information (privacy reasons). There is only one day left to submit your presentation for the ODTUG conference... so you have to be quick to think about your title and abstract. ODTUG is a great conference to meet and share ideas with other people using APEX. I always enjoy viewing others people presentations. If you want to have your hour of fame, don't hesitate to submit! 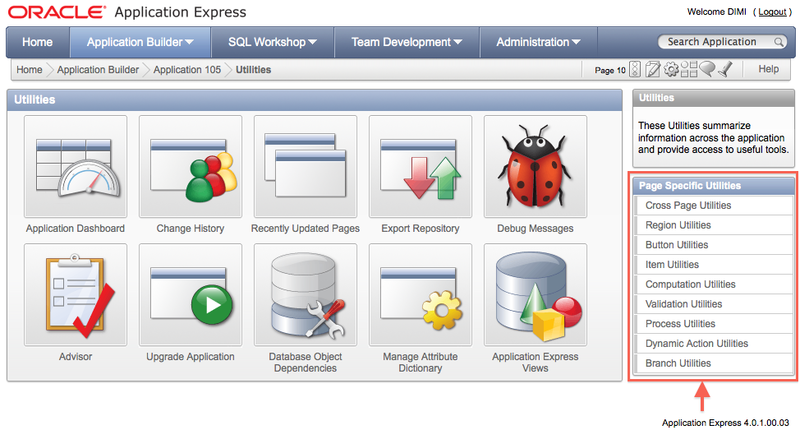 Last week seemed to be the week of the releases of the SQL Developer team. 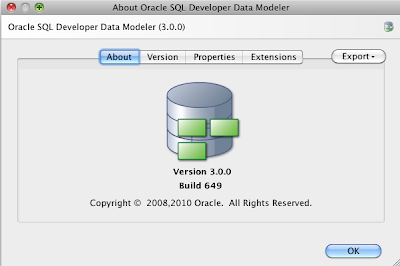 After Oracle Data Modeler 3.0 early in the week, it was the turn to SQL Developer at the end of the week. As you see some very cool and useful features. In some of our projects we use Spatial and Locator and the Map Viewer will become handy there. Having a DBA pane to get more info about the DBA is great too, so you don't have to write your own statements (scripts) or use EM. I tried the Query Builder, but that didn't seem to work for me. It took a long time to search for the objects, but finally I just got a blank window. 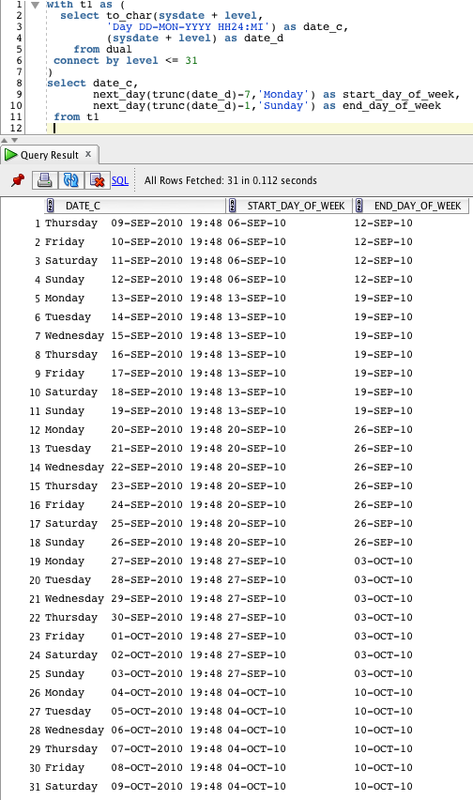 I could add other tables from other schema's, but the schema I was connected to was not included. Maybe I'm doing something wrong or it's because of the EA state and it's not optimal yet, not sure. I didn't really go into much detail to find the real cause as I've other priorities at the moment. 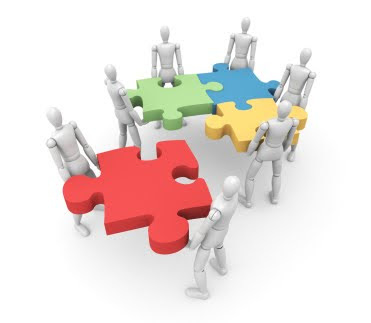 Next to the list of new features at the oracle website, it's also worthwhile to follow Kris Rice's, Sue Harper's and Barry Mcgillin's blogs as they blogged (or will be blogging) about some of the new features and included some demos. They are actually in the team that build this wonderful tool! 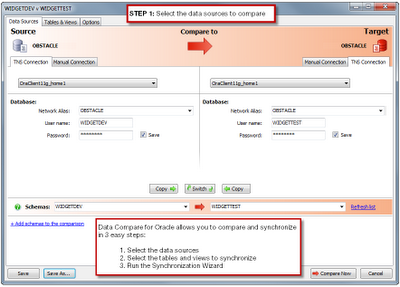 Just a quick note to say the people at Redgate have a public release of Data Compare for Oracle now. 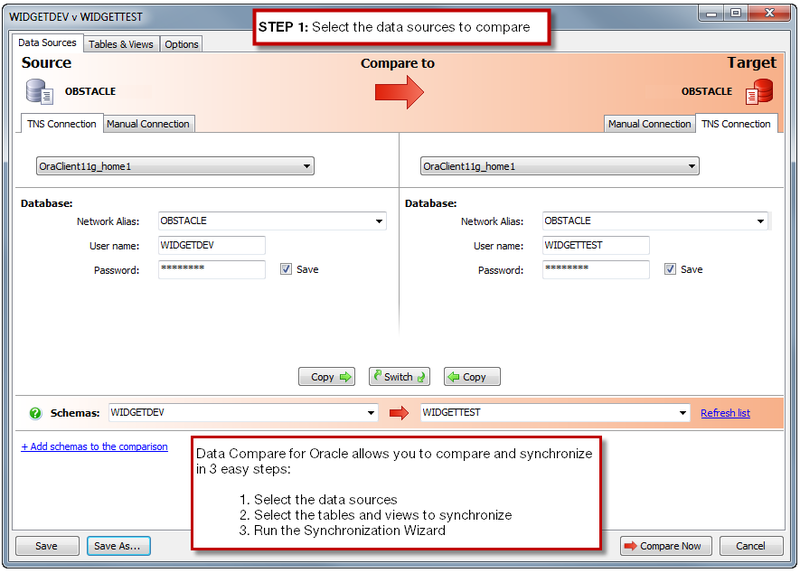 If you ever want to compare your data, this might be an option for you. 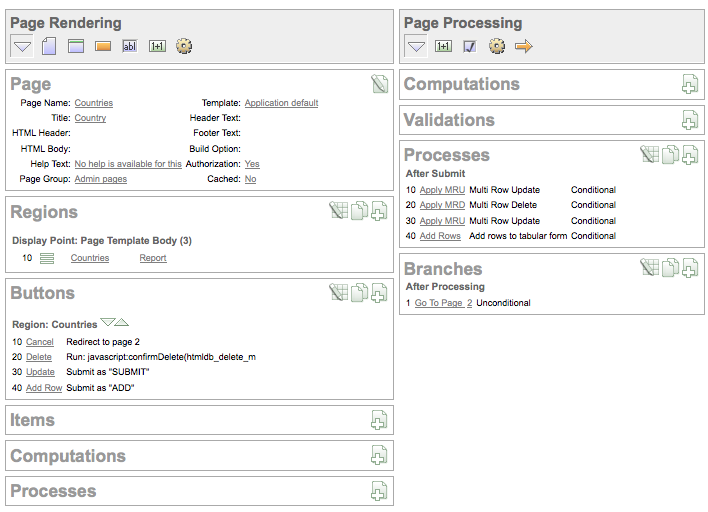 They are the same people who build Schema Compare for Oracle which I reviewed some time ago. 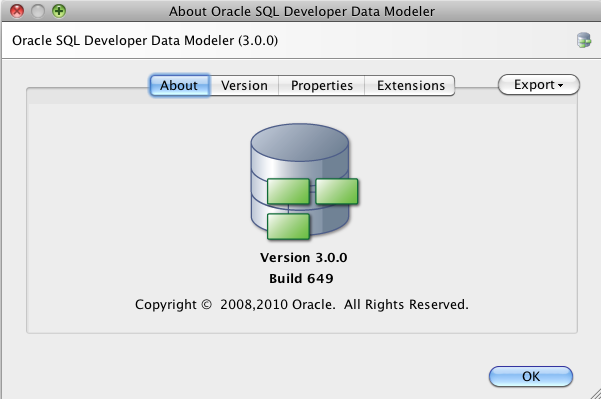 I just read that SQL Developer Data Modeler is out (renamed to Oracle Data Modeler). 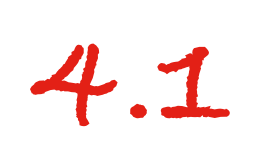 The Early Adopter release for 3.0 can be found here. Also check Kris Rice's blog as he's doing some nice blog posts about this new version and the features that come with it. In APEX 4.0 there's a new Tree Region. It's really cool and a lot better than the previous tree in APEX 3.x. 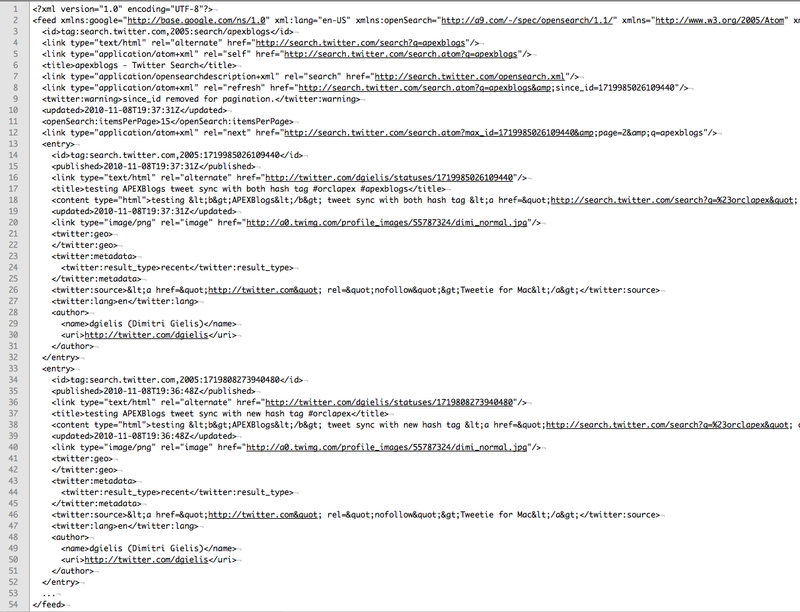 When you navigate throughout this tree there is no submit anymore, it also looks a lot better. The only catch is that the query is not that straight forward. 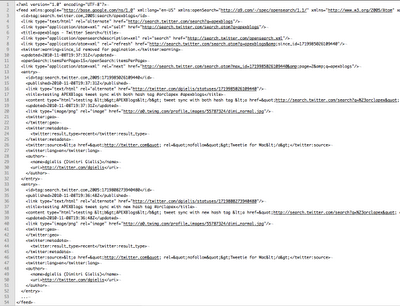 If you look under the query, you'll see the explanation what columns the query should have etc. Be careful as the example under need is missing the level column! Anyway, check out the tree, it's definitely something that people seem to like. It's only 4 weeks away, then there is APEXposed! It's a two day (October 27-28) Seriously Practical Training. This conference is special as it's actual two conferences in one. 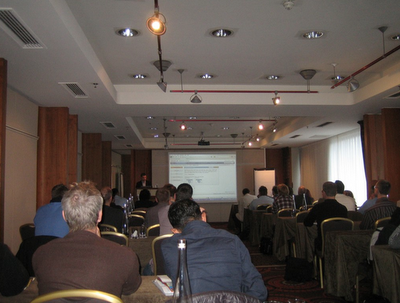 People registering for APEXposed can also attend the sessions from OPP (the PL/SQL conference in the same hotel, same date, with Steven Feuerstein). It's the first time ODTUG is coming to Europe and they want to make it a success. 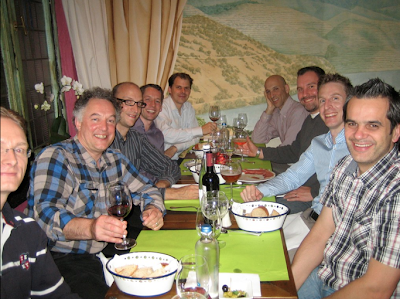 They teamed up with the local European Oracle User Groups. As it's in Belgium there's a strong collaboration with OBUG (Oracle Benelux User Group). 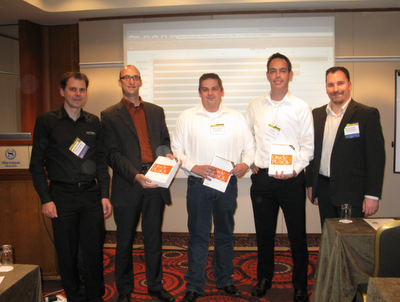 With the OBUG APEX SIG we already had a first event in June, so APEXposed will be the second event where the OBUG APEX SIG will be present. If you look at the agenda for APEXposed in Brussels, it's unbelievable... the best speakers and most known names in Europe will present. A big part of the APEX Development will be there as well. Space is limited, so I recommend registering as soon as possible. If you need to spend the night, click here to reserve your room. 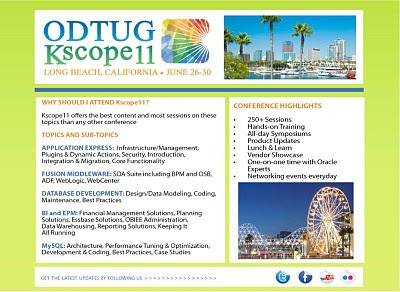 ODTUG has reserved a block of rooms at a special conference rate. 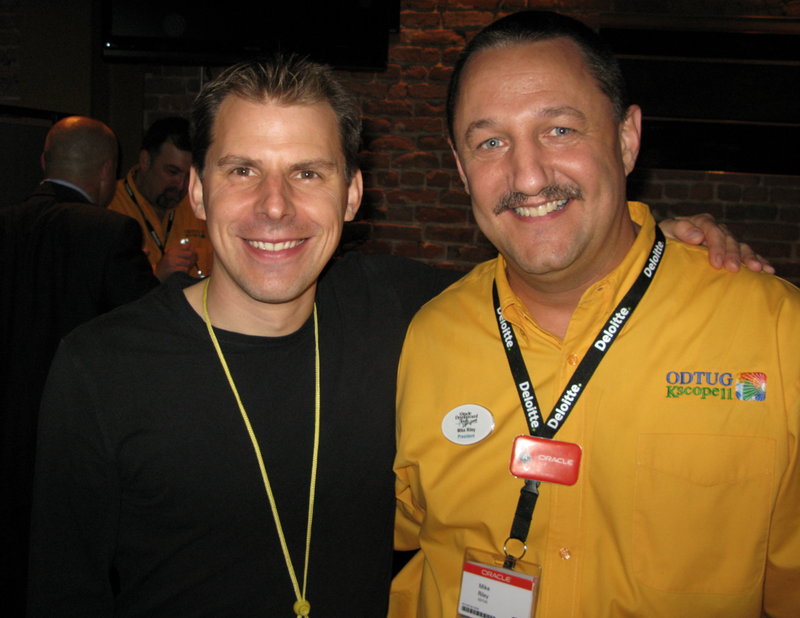 This is a post to help my friend Mike Riley to be reelected as the President of ODTUG (Oracle Development Tools User Group). It's not so much because I like him, it's because I think he deserves it. 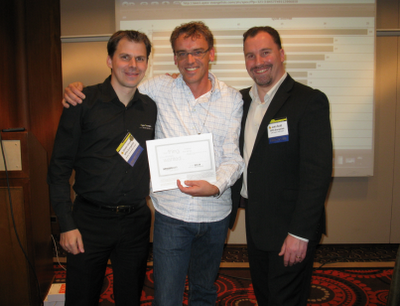 During the last two years Mike made ODTUG even more successful than they were before. With his kindness, his easiness to communicate and always with a smile on his face he makes us all feel really appreciated and welcome at ODTUG and the Kaleidoscope conference. In the last years, Mike was a real believer in APEX and made sure we had a dedicated track for that. Obviously it was not him alone doing all the work, there were many other people, but it's under his president ship the tracks really grew to what they are now (the most APEX presentations and highest quality of any conference). This year there are 14 people trying to get elected and there are only 4 places! 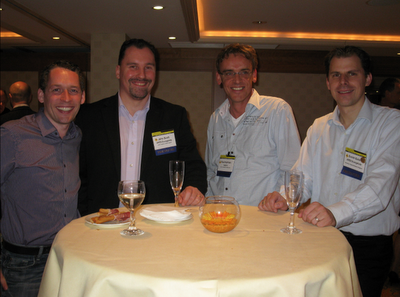 I'm heading back to Belgium at the moment... It was a very busy week at OOW but I enjoyed it very much. I still plan to do some more blogging once I'm back. 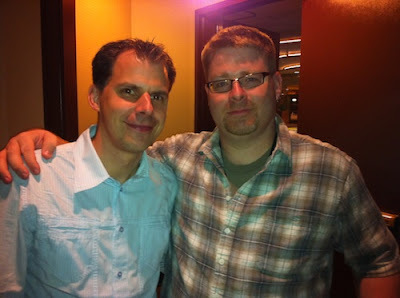 The only picture I've so far of the APEX Meetup is the one taken by Joel, where I stand with Jason (right). Today I had a more relaxing day in San Francisco. After having done some work in the morning I went out with John and Rich. 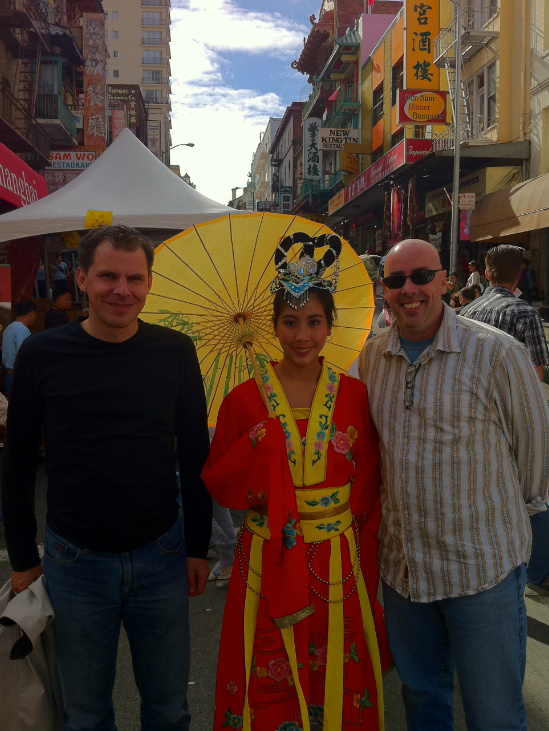 We had some nice food in the most famous Chinese place in San Francisco "House of Nanking". We went to that place for the first time in 2007, when Carl B. recommended it and took us there. Again the food was excellent. When we walked back to the hotel, there was an event going on in China town. On the picture you see Rich and me with a girl everybody was taking pictures of. 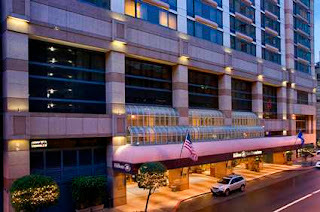 It's Saturday today and I'm currently in the Hilton hotel on O'Farrell Street in San Francisco. 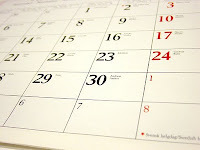 Today there are no special plans, it's a day between the Oracle ACE Directors briefing of the last two days and the start of Oracle Open World (OOW) tomorrow. Every year just before OOW, Oracle plans a briefing to the Oracle ACE Directors where people like Thomas Kurian (Executive Vice President of Product Development), Ted Farrell, Mark Townsend and other product manager tell us what's going to be announced at OOW and what the plans are in the future. I find it a real privilege to make part of this and appreciate the openness of Oracle. We all had to sign a NDA so are not allowed to speak about it. 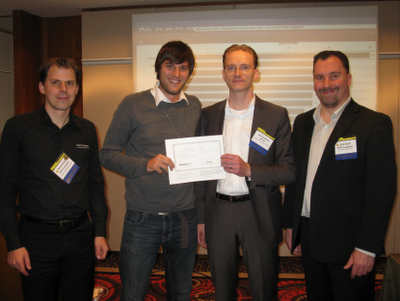 One thing that is already public, is that Oracle SQL Developer Data Modeler is FREE from now on! Tomorrow and the days after that the madness begins. After the acquisition of Sun, this event is even bigger as JavaOne is also at OOW. It will be interesting to meet all these new people. I'm doing 3 presentations at OOW this year and one panel discussion. 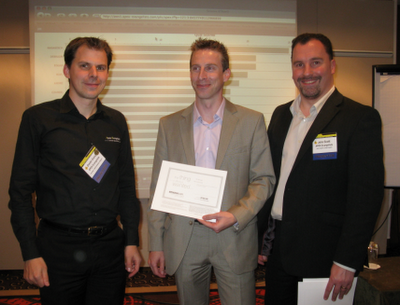 My first presentation is already on Sunday where I'll speak about upgrading your APEX 3.x application to APEX 4.0. I'll do a live demo where I take an export of an APEX 3.2 application (DG Tournament) and import that in APEX 4.0 and show the things that got changed or needs updated and I'll talk about the new features you can leverage now that you're in APEX 4.0. It was a long time ago I promised this post, so finally today I found some time to finish the post. In APEX 4.0 the Tabular Forms got enhanced quiet a lot. 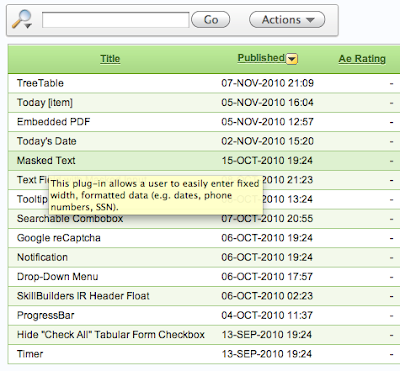 To make use of these enhancements it requires some manual changes of the page the tabular form is on, so when you upgrade your existing APEX 3.x (or older) applications the tabular forms are NOT upgraded automatically (or at least not completely), but they should still work like they did before. 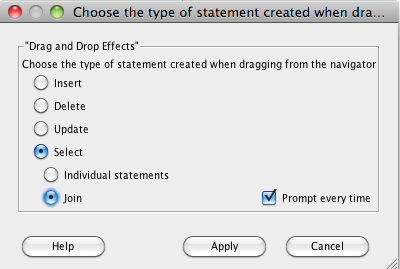 The enhancement I want to discuss in this post is Adding a row to the tabular form. Before APEX 4.0 when you hit the Add Row button, the page got submitted and a specific Add Rows process on the page got called. 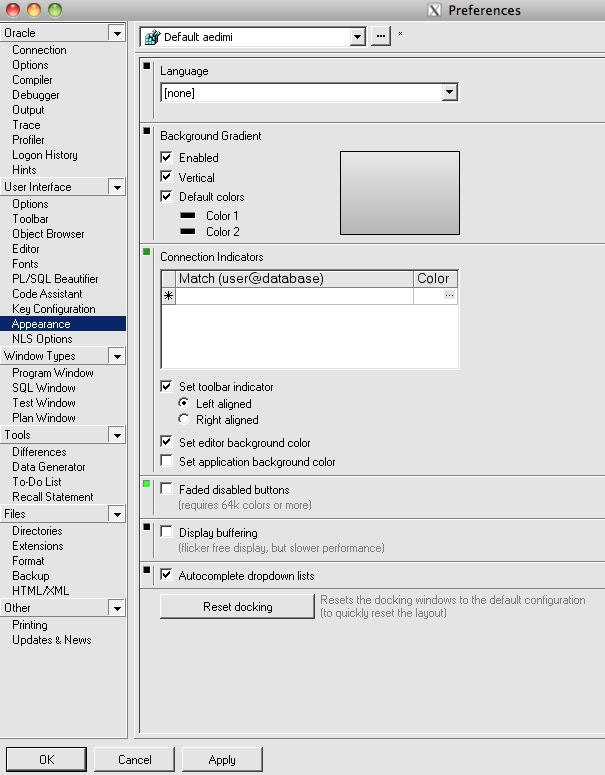 Another thing I found while upgrading my applications to APEX 4.0 related to tabular forms: if you still used an old template lay-out, the new functionality didn't work (missing of some tokens) and some other things which got already fixed in the 4.0.1 patch (see patch notes). Running on Mac OSX is great and although most of the time I have a native Mac OSX app I can use, it sometimes happens I want to run a Windows-only program e.g. Internet Explorer (just to see if my app works in this browser! 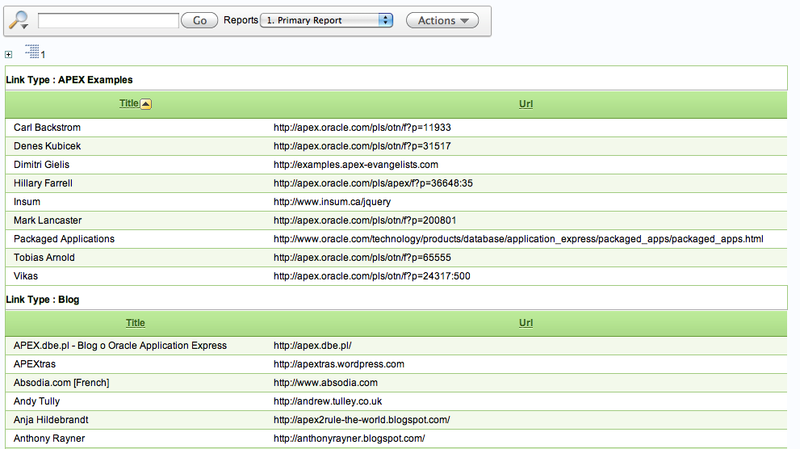 ), BI Publisher plug in for MS Word, PL/SQL Developer or Schema Compare for Oracle. So the options are running a Virtual Machine (I use VMWare Fusion) or use a program like CrossOver (Windows emulator based on Wine). Not all applications work with CrossOver, but it's worth trying to get it working there as it's more lightweight than firing up a VM. 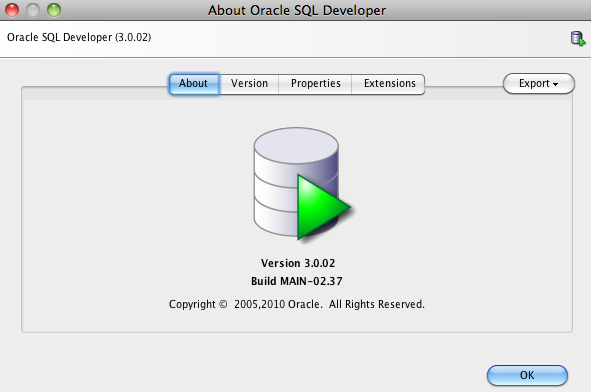 In this blog post I'll show how to install PL/SQL Developer in CrossOver. 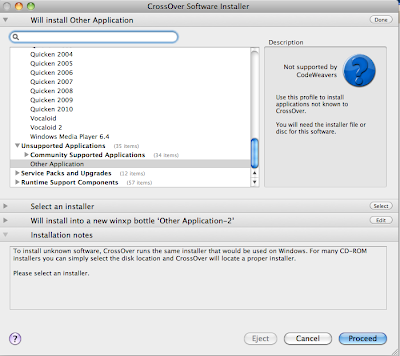 Once CrossOver is installed, you click Configure - Install Software. Select Other Application and in Select an installer search for plsqldev804.exe file (which you can download from the PL/SQL Developer website. Finally hit the Proceed button to do the install. You just follow the wizard from PL/SQL Developer to finalize the install. 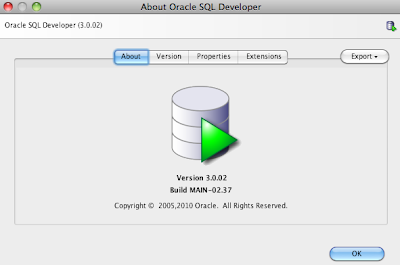 Once that is done we'll have to install the Oracle client so we can connect with PL/SQL Developer to our Oracle database. Easiest will be to download the Instant Oracle Client for Microsoft Windows (32-bit). Unzip the file and copy the directory to your C-drive. 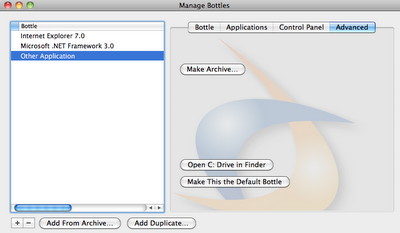 To open the C-drive: in the CrossOver menu click on Manage Bottles - Advanced Tab - Open C: drive in Finder. 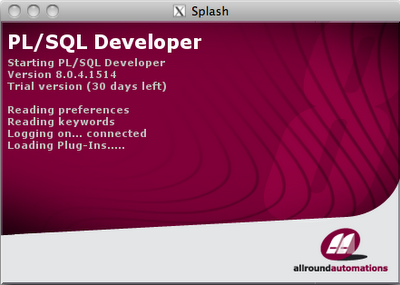 That's it... if you now start PL/SQL Developer (CrossOver - Programs - PL/SQL Developer), it will look like it's a native OSX app. I had to do one more thing to get it complete like on a real Windows system. 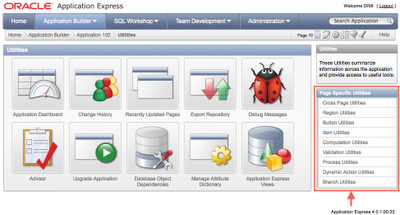 The icons in PL/SQL Developer looked a bit funny (gray/black - not really readable). 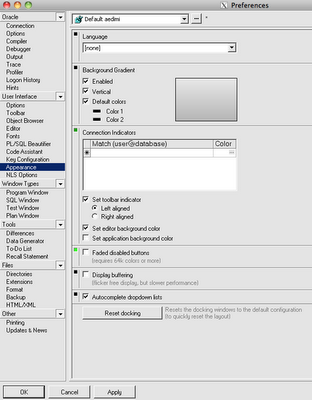 To solve that, go to PL/SQL Developer - Tools - Preferences - User Interface and uncheck Faded disabled buttons. When you create a report in APEX and build the source of that SQL query with the wizards you get these annoying quotes (") around the column and table names. It also takes time to do it with the wizard, time I don't have. 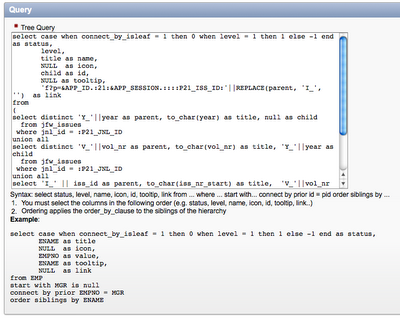 I tend to write my queries in SQL Developer so I can immediately fine-tune the query so it's exactly what I need. 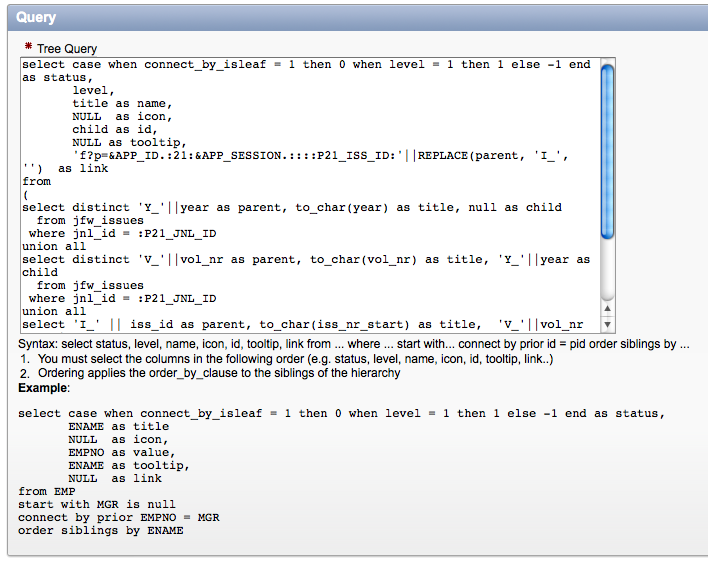 Writing your queries in a tool like SQL Developer has many more advantages, as you can look back in the history of your statements, you can immediately do an Explain Plan and format the code but even more immortantly it's very fast to write statements. Remark: you need foreign keys in place so the joins are written correctly. As I saw many people didn't seem to know about that, I thought to quickly write something as it's definitely a time saver. 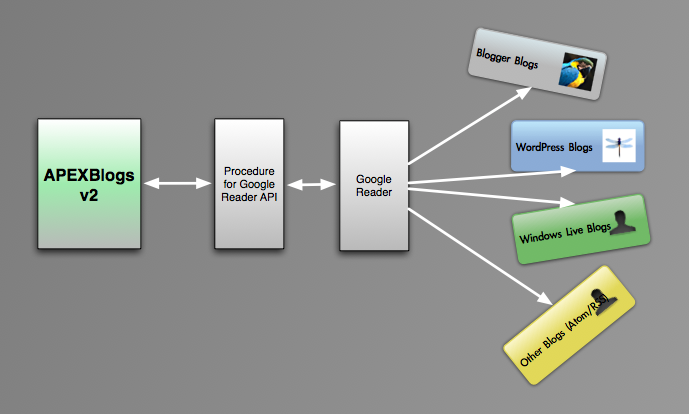 I tend to use the Grouping functionality to logically group my APEX pages. E.g. I've a group called 'Admin' which hold all the Admin pages. I find it easy to see the pages for that section of the application and I can verify if my security model is fine on these pages. E.g. the pages should be protected with the Admin Role. 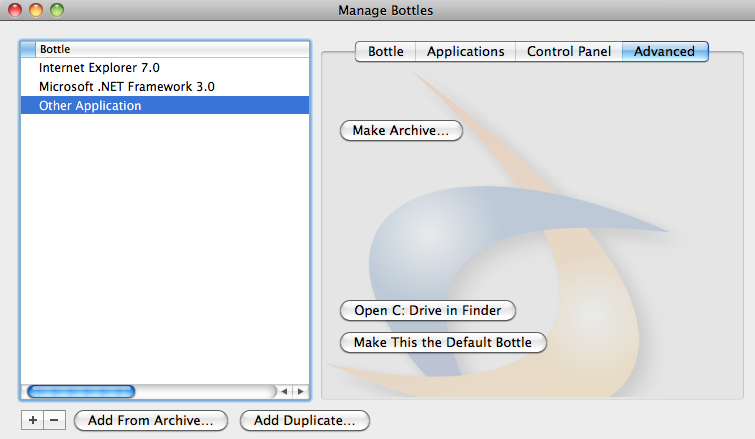 It also helps me to separate the work between developers. If I tell my colleague, go and change the Admin section, it's easy to find for that person. 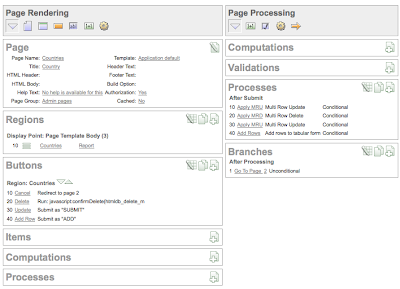 You can also use ranges of pages for the different sections of the application. E.g. 10000-20000 is for Admin pages. 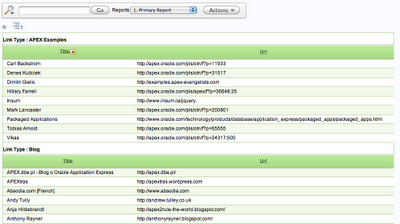 Before APEX 4.0, the Grouping of Pages was in the Task area on the right hand side of the page, but that got changed. 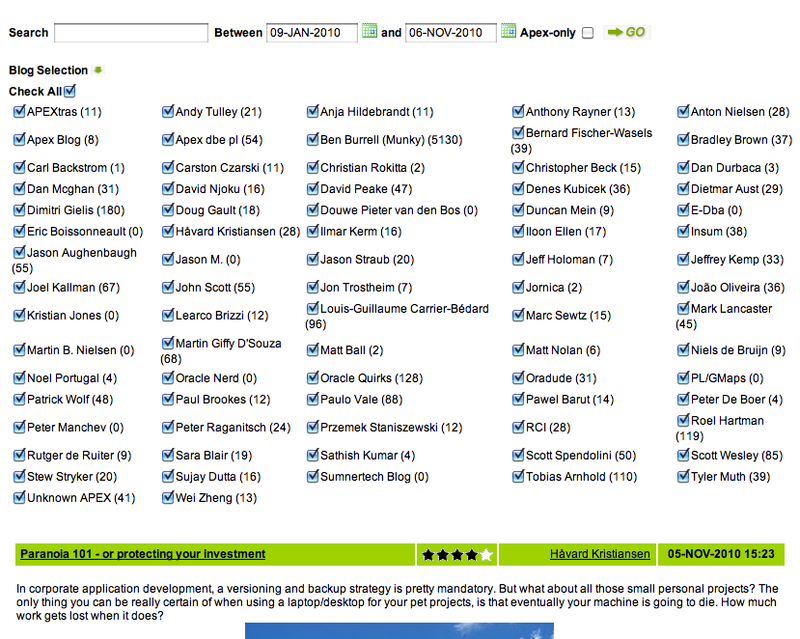 Now you find a lot of the Goodies in "Application Utilities" (see red arrow in the quick pick icons). Clicking on that link will give you access to the Application Dashboard, the Upgrade Application wizard and many other features. 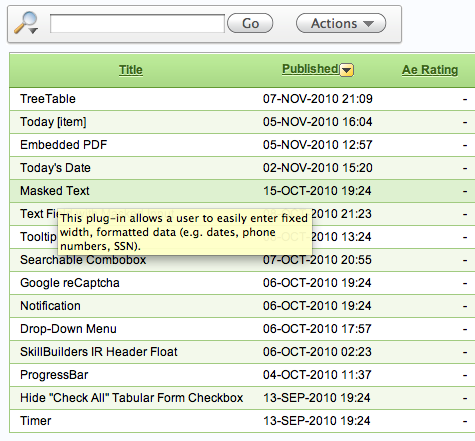 On that page on the right hand side you'll see Page Specific Utilities. 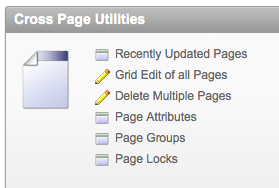 Clicking on the "Cross Page Utilities" link will give you the links for grouping pages or bulk editing them (a feature I use a lot too, to rename my pages for ex.). So the grouping feature is a bit more tucked away in APEX 4.0, but then you get a more logical grouping of features you can do. I just got an interesting question: how do you know for a date, in which week (Monday - Sunday) it falls. 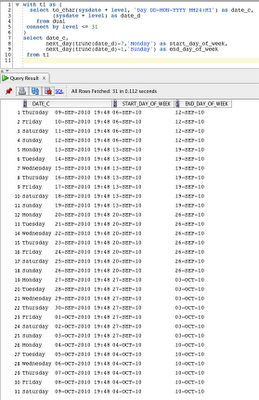 Next I used the NEXT_DAY function to get the first Monday after that date, and the same for the Sunday. As it will give you the results of the next week I had to subtract 7 days so I was sure it would fall under the week the date was in. e.g. if you have a date Wednesday 8 of September, that person wanted to have Monday 6th-Sunday 12th. 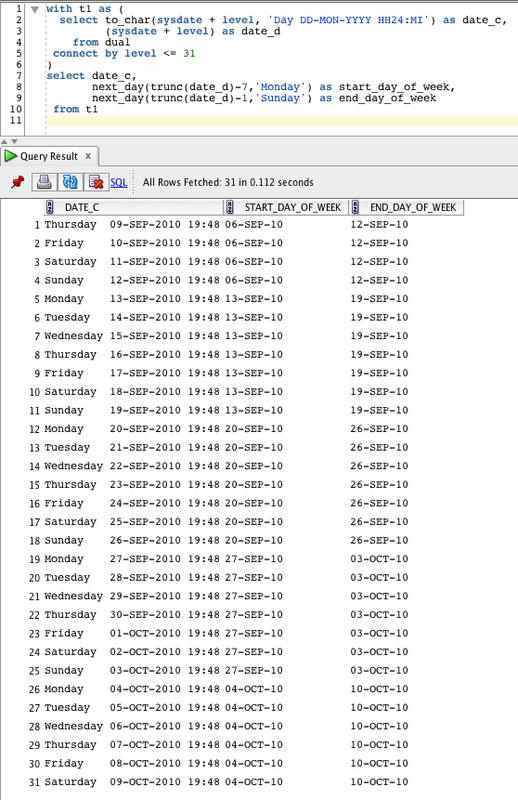 If I just did NEXT_DAY of 8-SEP I would get 13-SEP, that is why I first had to subtract 7 to go to a previous week and get the next Monday. For the end date it's similar, but there you only have to subtract 1 day, as only the Sunday might be a problem, as the next Sunday is the next week. In a lot of my APEX 3.x projects I used jQuery to extend the standard functionalities of APEX with some more interactive (client-side) components. In jQuery there are very nice plug-ins, like a modal window, a grid, tooltips etc. Before I loaded my files as part of my Page Template, but I'm not sure I would still do that. If you switch from template you lose the references. 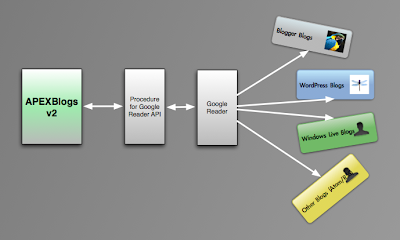 It might be better for maintainability point of view to include it in a region on Page 0. It will have a small performance hit, as APEX will have to look for it on Page 0, but it makes maintainability easier.